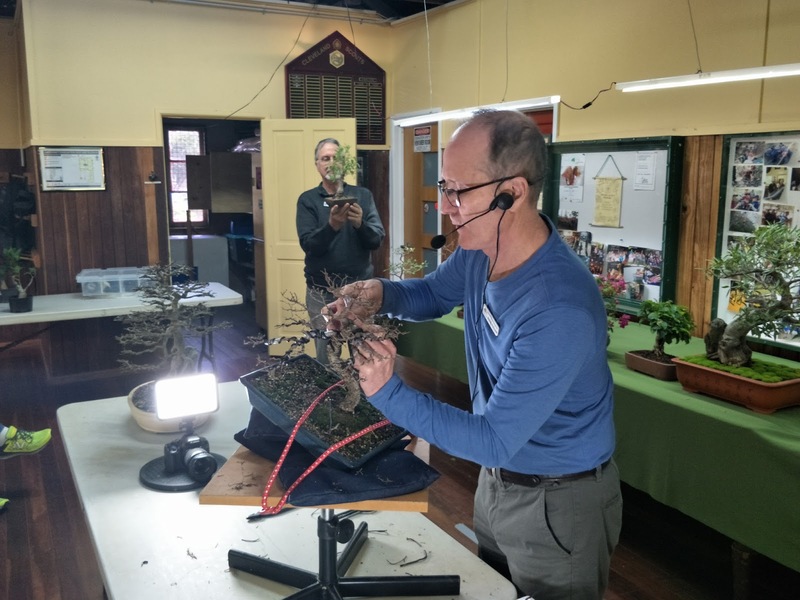 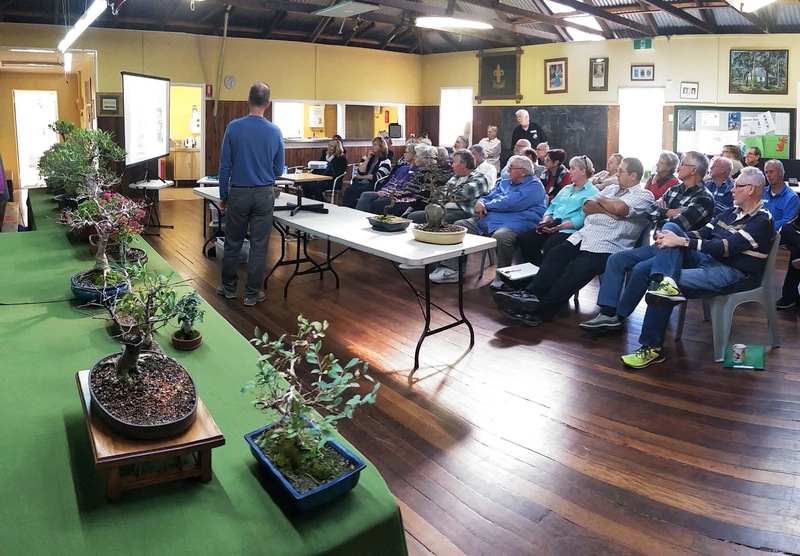 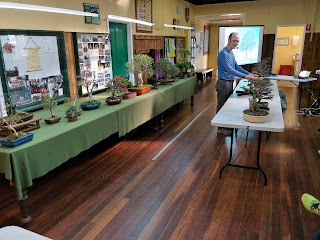 The July meeting involved a talk by Stephen on making our Bonsai look like trees and a demonstration of some remedial work on a tree that had been styled to the Western Universal Style (a small number of branches with flat pads of secondary and tertiary branching. 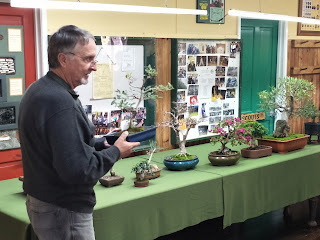 Rhett did part of the critique while Stephens worked at wiring for the demo. 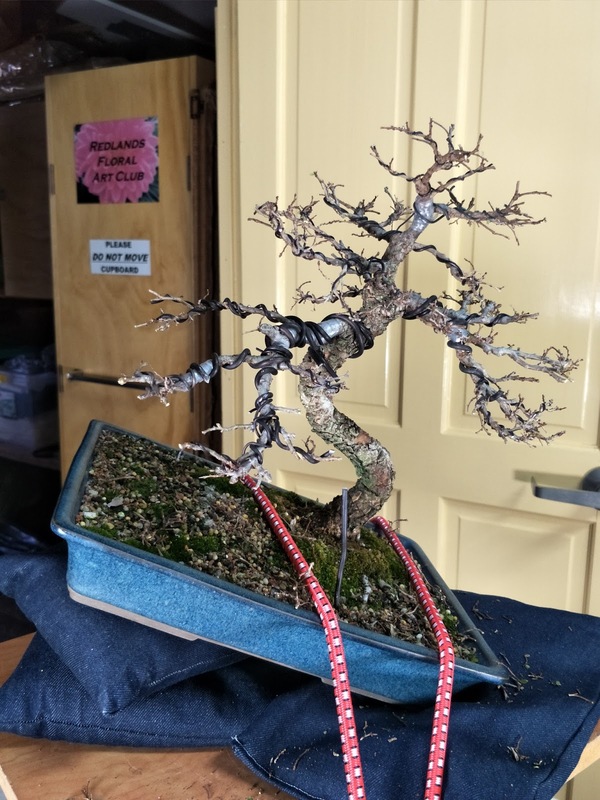 The demo tree after some initial work to change it's styling. 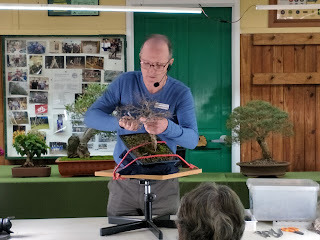 No new branches at this point but the existing branches occupy a greater spread of vertical space. This tree was the subject of a demo by Stephen. 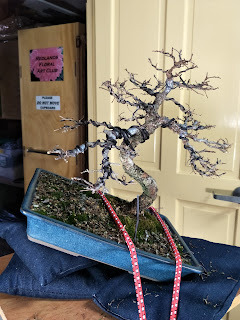 Initial work was done to rework the flat pads so that the branches had some depth to them and pruning to encourage further budding.